Do you want to make a special gift to your relatives or to organize the unusual family vacation? 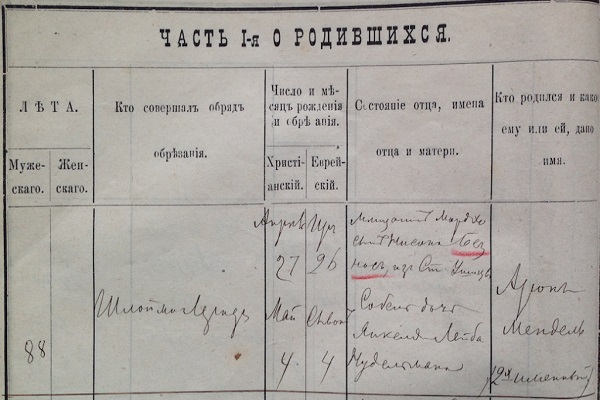 We offer you a new kind of services for Jewish tourists in Ukraine – Genealogy tours. Travel to places where your ancestors lived is an deal for family holidays. Original and picturesque towns, large cities with centuries of history… Just visit the places close to your lineage you will be able to get the unique experience and to strength the connection between generations. It is difficult to imagine the whole specter of emotions that occurs when you visit the streets, houses and synagogues where the previous generations of your Family were! Our professional team of tour planners, genealogy researchers and guides provides complex service in English, Hebrew, Spanish, Russian and Ukrainian. Before planning a trip, it is desirable to order and explore all the genealogical information about the family, for example, create a family tree, find all the missing information in the archives, go to the necessary locations to decide on organizational matters.